It’s easy to see someone who’s thriving in their career and attribute it to luck. But no one got where they are, especially as an independent salon owner, without hard work, dedication and most importantly, effective systems to help them succeed. 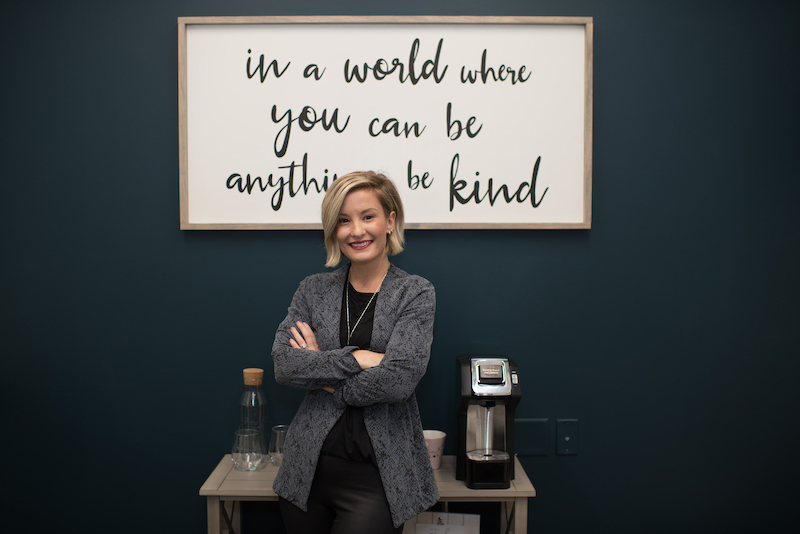 Kelsey Morris, owner of Studio K Salon in Columbus, Ohio, is one of our 2019 Faces of Sola, a GlossGenius Ambassador, a Sunlights Balayage Educator and most importantly, a mom. Sola has provided her the unique freedom and flexibility to be both a stay-at-home mom and a successful business owner. How does she balance it all? She has developed strategies to help her work smarter not harder. Check out Kelsey’s tips below to help you develop systems to thrive in every area of your life. Before becoming a hairdresser, Kelsey graduated from college with a degree in criminology. It was her parents who felt so strongly about her going to college and getting a degree, not Kelsey. After she graduated, she took back control of her path and enrolled in beauty school. It was something SHE wanted for herself. She grabbed that beauty bull by its horns and got to work, mind you with a newborn in tow! It’s undeniably hard not to get wrapped up in the “what if’s” of entrepreneurship and life. “What happens if I fail?” You come up with a plan for that and a system to prevent it from happening. And guess what? If it happens, it happens. You will be okay. You’re going hit some roadblocks. Kelsey sure did. When roadblocks present themselves, whether it’s in your career or your personal life, you have a choice to make. You can let the obstacles take over or you can use them to help you grow. 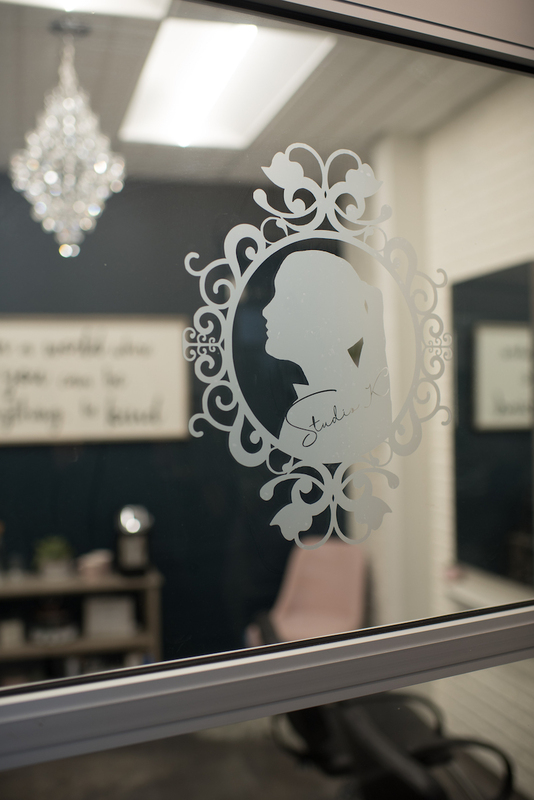 Her sister’s silhouette is now the logo for her salon and the first thing she sees when she walks in the door every day. It reminds her of her strength and pushes her to pursue a career that would make her sister proud. What does success look like for you? Is it having 300 clients and being booked out for a year with zero debt and having 20 uninterrupted minutes of morning meditation? Great, but remember, it’s not the same definition of success for the person renting a studio next to you, and that’s okay. Success and the defining components of it are personal and should always remain fluid. Your idea and goal of success may change next year or 5 years down the road, and there is absolutely nothing wrong with that, just as long as your plans to achieve it also adjust. You wear many hats as a business owner and while the age of robots used to be limited to sci-fi movies, we now live in an era where technology can help us achieve so much more than we could on our own. As a GlossGenius Ambassador, Kelsey has fully embraced the power of salon management technology utilizing its many benefits, like client management, marketing tools, online booking, and analytics and reporting.